Dr Liang Qin Liu MD, PhD, FHEA. Dr Liu received her PhD degree in neurophysiology at University College London in 2007. Before she joined Middlesex University in 2013, she worked as a postdoctoral research associate at UCL and Royal College of Surgeons of England. fluent in Chinese Mandarin and English. Dr Liu supervises postgraduate DProf and MSc projects as a first academic supersor, and supervises PhD nursing students alongside the director of study; she also teaches undergraduate nursing students and supervises final year student's dissertation alongside supporting nursing professors for various nursing rsearch. During her research and teaching career in high Education institutes, Dr Liu completed a significant number of research projects and published over 50 peer-reviewed journal papers, supplements and book chapters. The projects she engaged in ranged from a survey using Delphi tailored method, mixed method to randomised clinical trials. She also has considerable experience in conducting systematic review and meta-analysis. 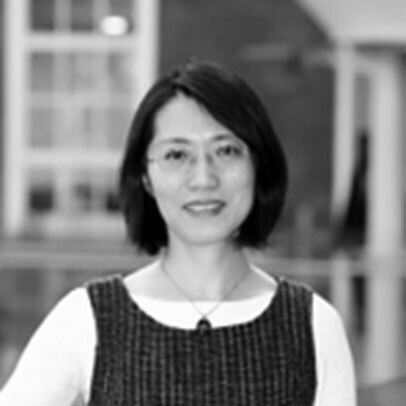 Dr Liu's current research interests focus on primary and secondary research on tissue viability in a variety of target population, evidence based nursing practice and patientents benifit. Liu LQ, Ferguson-Pell M. Pressure Changes under the Ischial Tuberosities during Gluteal Neuromuscular Stimulation in Spinal Cord Injury: a Comparison of Sacral Nerve Root Stimulation with Surface Functional Electrical Stimulation. Archives of Physical Medicine and Rehabilitation. 2015 Apr; 96(4):620-6. Liu, Liang Q. and Deegan, Rachel and Gall, Angela (2015) Non-invasive technologies of tissue viability measurement for pressure ulcer prevention in spinal cord injury. HSOA Journal of Physical Medicine, Rehabilitation & Disabilities, 1 (1). Hall, Stuart and Liu, Liang Q. (2011) A mini review of physiotherapies for patellofemoral pain syndrome. SM Journal of Orthopedics SM J Orthop. 2015;1(4):1018. Liu LQ, Moody J, Dyson S, Traynor M, Gall A.. A systematic review of Electrical Stimulation for Pressure Ulcer Prevention and Treatment in people with Spinal Cord Injury. Submitted to Journal of Spinal Cord Medicine 2014 Nov;37(6):703-18. Liu LQ, Pengel LH, Morris PJ. CONSORT compliance and methodological quality of Randomized Controlled Trials in solid organ transplantation, a 3-year overview. Transpl Int. 2013 Mar; 26(3):300-6. Pengel LH, Liu LQ, Morris PJ. Do wound complications or lymphoceles occur more often in solid organ transplant recipients on mTOR inhibitors? A systematic review of randomized controlled trials. Transpl Int. 2011 Dec; 24(12):1216-30. Harding R, Liu L, Catalan J, and Sherr L. What are the evidence for effectiveness of interventions to enhance coping among people living with HIV disease? A systematic review. Psychol Health Med. 2011 Oct; 16(5):564-87. Andreas Roposch, Liang Q. Liu, Fritz Hefti, Nicholas M. P. Clarke and John H. Wedge. Standardized Diagnostic Criteria for Developmental Dysplasia of the Hip in Early Infancy. Clinical Orthopaedics and Related Research 2011, 469; 12, 3451-3461. Roposch A, Liu LQ, Offiah AC, Wedge JH. Functional outcomes in children with osteonecrosis secondary to treatment of developmental dysplasia of the hip. J Bone Joint Surg Am. 2011 Dec 21; 93(24):e1451-11. Clucas C, Sibley E, Harding R, Liu L, Catalan J, Sherr L. A systematic review of interventions for anxiety in people with HIV. Psychol Health Med. 2011 Oct; 16(5):528-47. Roposch, L. Liu, F. Hefti, N. Clarke, J. Wedge: Variation in diagnostic criteria for developmental dysplasia of the hip among orthopaedic surgeons. J Children's Orthopaedics 2010; 4(1):S23. LQ Liu, GP. Nicholson, SL. Knight, R. Chelvarajah, A. Gall, FRI Middleton, M. Ferguson-Pell, MD Craggs. Interface 'Pressure and Cutaneous Hemoglobin and Oxygenation Changes under the Ischial Tuberosities during Sacral Nerve Root Stimulation in SCI' Journal of Rehabilitation & Research Development Volume 43, Number 4, Pages 553–564, Jul-Aug, 2006. LQ Liu, GP.Nicholson, SL. Knight, R. Chelvarajah, A. Gall, FRI Middleton, M.Ferguson-Pell, MD Craggs 'Pressure Changes under the Ischial Tuberosities of Seated Individuals during Sacral Nerve Root Stimulation' J Rehabil Res Dev. 2006 Mar-Apr;43(2):209-18. Liu LQ, Chelvarajah R, Middleton FRI, Ferguson-Pell M, Craggs MD. Incontinence in spinal cord injury: the increased risk of sacral pressure sores and the potential bits of sacral nerve magnetic stimulation. BJU International. 94(7):1175, November 2004. Liu, LQ, Simmon, J, Markandu, ND, MacGregor, GA, Antonios, TFT, 'Skin capillary density in hypertensive and normotensive individuals and its correlation with plasma rennin activity and ambulatory blood pressure' J HYPERTENS 22: S132-S133 Suppl. 1 FEB 2004. Liu, LQ, Simmon, J, Markandu, ND, MacGregor, GA, Antonios, TFT 'Orthogonal Polarization Spectral (OPS) imaging of capillary microcirculation in AfroCarribean and Caucasian subjects with essential hypertension' J HYPERTENS 22: S132-S132 Suppl. 1 FEB 2004. Antonios TFT, Liu L, Pizzi C, Cosin-Sales J, Fredericks S, Kaski JC, 'Capillary density and endothelial function in patients with treated essential hypertension and in patients with typical chest pain and normal coronary arteriograms J HYPERTENS 22: S168-S169 Suppl.1 FEB 2004. Filer AD, Gardner-Medwin JM, Thambyrajah J, Raza K, Carruthers DM, Stevens RJ, Liu L, Lowe SE, Townend JN, Bacon PA. Diffuse endothelial dysfunction is common to ANCA associated systemic vasculitis and polyarteritis nodosa. Ann Rheum Dis. 2003 Feb;62(2):162-7. Liu LQ, S Chapman, M Traynor, H Allan, R Deegan, A Gall Awareness and Adherence to ‘Pressure-relief’ regimen for pressure ulcer (PrU) prevention in spinal cord injury (SCI). EWMA 2017 conference, 3-5 May 2017, Amsterdam, Netherland. Liu LQ, Moody J, Gall A. A meta-analysis and systematic review of electrical stimulation on pressure ulcer healing in spinal cord injuries. The 25th Conference of the European Wound Management Association will be held from 13-15 May 2015 at the Excel, London. Liu LQ, Moody J, Dyson S, Traynor M, Gall A. Electrical Stimulation for Pressure Ulcer Prevention and Treatment in people with Spinal Cord Injury: A systematic review. 53rd Annual scientific meeting of International Spinal Cord Society , Maastricht, Netherlands 2-4th September. Liu LQ, Pengel LH, Morris PJ. Do reporting of Randomised Controlled Trials in solid organ transplantation adherence to CONSORT statement? A 3 year overview. 22-25 February 2012, Glasgow, UK. Liu LQ, Pengel LH, Morris PJ. Reporting quality of Randomised Controlled Trials in solid organ transplantation. European Society of Transplantation Congress 5-7 September 2011, Glasgow, UK. Liang Liu, Amaka Offiah, Jeanne Hartley, Deborah Eastwood†, A Hashemi-Nejad, A Roposch. "Pain and function in children with Avascular Necrosis of the hip" European Paediatric Orthopaedic Society Meeting, 9-12 April 2010, Warsaw, Portland. LQ Liu, SL Knight, GP Nicholson, R Chelvarajah , FRI Middleton, A Gall , M Ferguson-Pell , MD Craggs 'Pressure Changes Under The Ischial Tuberosities during Gluteal Neuromuscular Stimulations in SCI : a comparison of Sacral Nerve Root Stimulation(SNRS) against Surface FES' 45th Annual Scientific Meeting of the International Spinal Cord Society, 25-28 June 2006, Boston, USA. LQ Liu, SL Knight, GP Nicholson, R Chelvarajah , FRI Middleton, A Gall , M Ferguson-Pell , MD Craggs 'Sacral Nerve Roots Stimulation for Ischial Pressure and Blood Perfusion changes in SCI' 44th Annual Scientific Meeting of the International Spinal Cord Society, 4-8 October 2005, Munich and Murnau, Germany. LQ Liu, MD Craggs, GP.Nicholson, SL. Knight, R. Chelvarajah, A. Gall, FRI Middleton, M.Ferguson-Pell 'Pressure and Cutaneous Blood Perfusion Changes Under the Ischial Tuberosities During Sacral Nerve Root Stimulation' International Conference on Posture and Wheeled Mobility 11th -15th of April 2005, Exeter University, South West England, U.K.
Liu LQ, Chelvarajah R, Nicholson GP, Knight SL, Middleton FRI, Gall A, Ferguson-Pell M, Craggs MD 'Neuromuscular stimulation for pressure and cutaneous blood perfusion changes under the ischial tuberosities' British Neurosurgical Research meeting, The National Hospital for Neurology &Neurosurgery, Queens Square, London 3rd-4th , March 2005. LQ Liu, MD Craggs, GP.Nicholson, SL. Knight, R. Chelvarajah, J. Bycroft, FRI Middleton, M.Ferguson-Pell 'Pressure Changes Under The Ischial Tuberosities Of Seated Individuals During Sacral Nerve Root Stimulation', the proceedings of 9th Annual IFESS Conference, 2nd Conference of FESnet, 6-9 September 2004, Bournemouth, UK. Andreas Roposch, Liang Liu, Fritz Hefti, NMP Clarke, John Wedge. Variation in Diagnostic Criteria for DDH among Orthopaedic Surgeons. 29th Annual EPOS Meeting, Zagreb (Croatia) 2010, 7th -10th April. LQ. Liu, MD Craggs, GP.Nicholson, SL. Knight, A. Gall, R. Chelvarajah, J. Bycroft, FRI Middleton, M.Ferguson-Pell 'Ischial Pressure and Skin Blood Volume Changes during Sacral Nerve Root Stimulation in SCI.' Medical Research Society /Academy of Medical Sciences /Royal College of Physicians meeting for Clinician Scientist in Training, 23rd Feb. 2006, The Royal College of Physicians, London, UK. Chelvarajah, R., Liu LQ, Chung, EAL, Bycroft JA, Casy ATH, & Craggs, MD ' Functional Magnetic Stimulation of the lower Thoracic nerve Roots for Assessment of Spinal Column Deformity' International Spinal Cord Society(ISCoS) Annual Scientific Meeting, Sep 2004, Athens, Greece. Chelvarajah, R., Liu L, Chung, E,., Knight, S& Craggs, M. Topographical Optimisation of Functional Magnetic Stimulation of the lower Thoracic Nerve Roots for achieving Increased Intra-Abdominal Pressure-Therapeutic Applications in Spinal Cord Injury. European Association of Neurosurgeons winter meeting, FEB 2004,Budapest, Hungary. Liu, Liang Q. and Moody, Julie and Deegan, Rachel and Gall, Angela (2015) What are the evidence about electrical stimulation for pressure ulcer prevention and treatment in Spinal Cord Injury? – A systematic review and meta-analysis. In: Horizons in Neuroscience Research. Volume 24. Nova Science Publishers. £1,000 awarded for a travel grant by TVS to present a research paper entitled as 'To develop and test reliability, and validity of a questionnaire to evaluate concordance to ‘pressure relief’ for pressure injury prevention in people with spinal cord injury' at EWMA conference May 2018. £48k funded from EPSRC- MDVN plus (Medical Device and Vulnerable Skin Network plus) in February 2017 as a co-investigator (Principal investigator for Middlesex University) in collabration with Queen Mary University Lonndon. The project is entitled ‘Early Detection of Pressure Injury Using Novel Wireless Epidermal Textile Sensors in Wheelchair users Living with Spinal Cord Injury’. £2,000 funded by Hospital Saturday Funds Charity in February 2015. Using motion sensor to monitor pressure relief activities during sitting. £50,000 3-year PhD fellowship funded by Royal National Orthopaedic Hospital Research Board. May 2003- April 2006.